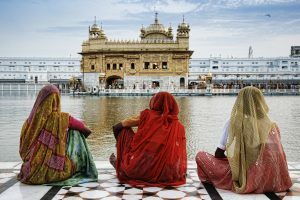 India is a fascinating place with a lot to see regarding culture, history, and tradition. However, if you are traveling for the first time to India here are a few things to consider. Travel slowly – Traveling in India may seem straightforward, but you will soon find out that ordering food, accommodation and commuting in India can be complicated. Make sure that you allocate sufficient time to see sights and look at the experience as an adventure. Forget the stereotypes – India is diverse, modern and traditional all at once. Leave your expectations behind when visiting India and you will be surprised at how easy it is to adapt. Pack light – When traveling in India remember that most of your traveling will be on foot. Packing light is a must and ensure you pack comfortable, lightweight clothes that are suitable for India’s hot, humid weather. Embrace the diversity – India has a high contrast between rich and poor and this can seem strange to most westerners. Cover up – Although India is modern, it is also conservative, and therefore women should avoid wearing revealing clothing. Look at wearing loose clothing like pants, tunics, and tops with sleeves to prevent unwanted attention. Make sure you pack a scarf because some religious sights will require tourists to cover their heads. Stay safe – If you are traveling alone, it is always best to travel during the day and avoid traveling at night alone.